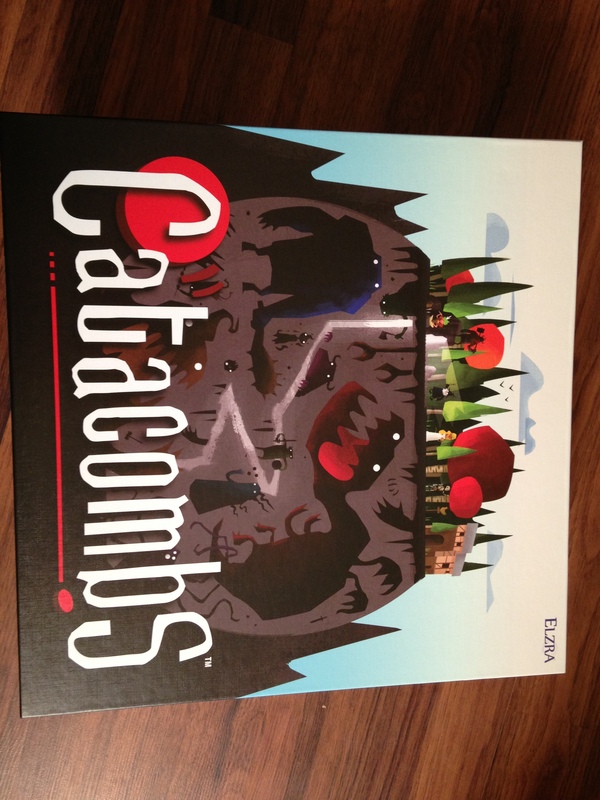 Catacombs is a dexterity game in the style of a standard dungeon crawler. The twist is that in order to move your heroes and have encounters with monstrous foes, you do so by flicking wooden discs. The game was a surprise hit with tabletop gamers, and sold out several printings following its 2010 release. In a desire to create an improved, definitive version of the game, publisher Elzra Corp (formerly Sands of Time Games) successfully funded the Third Edition via Kickstarter last year. This overhauled edition has new artwork, an updated rule system, and better quality components. …and my copy just came in the mail yesterday!